Behind the handlebar of the Overvolt Shimano AMi, pleasure is boundless. More than ever before, demanding and engaging paths will become your favourite playground. 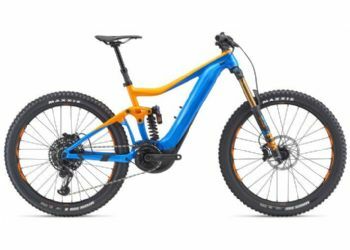 What was impossible, nearly, on a mountain bike becomes accessible with this electrically assisted all-terrain bike. Potent yet agile when ridden, the Overvolt Shimano AMi is waiting to be tamed! (?) Wild The integrated Overvolt Shimano AM was designed with a different drive layout to optimise its performance on the ground. 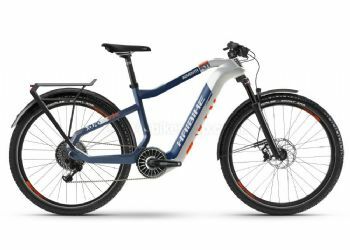 Just for a second, forget that you are riding an electrically assisted bike and make the most of an all-terrain bike that lets you go further, climb higher and ride back down faster! 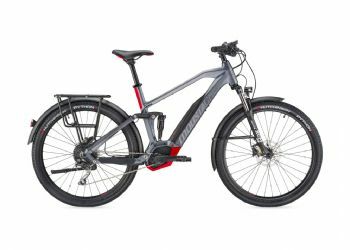 Playful and agile on every kind of track and trail, the Shimano electrically assisted all-terrain bike will see you break through your own limits and make the most of its playful and extremely efficient behaviour. Get ready to live the Overvolt adventure! (?) Ready to be tamed Lapierre's Research & Development department designed this bike for performance. The Rockshox Deluxe R Debonair Trunnion shock absorber, attached to the lower part of the frame, means that design freedom was retained for the top tube while placing the weight lower down. Faster and more precise, accentuated by very short chainstays with the bottom bracket pushed as far back as possible. The head tube angle offered by the Suntour AION35 LO R DS 27.5 boost fork and the rigidity of the forward triangle bring peerless efficiency and stability even on rough terrain. The Overvolt AMi Shimano never rears up and remains composed on sections with serious positive gradients, thanks to its excellent traction. The 150 mm suspension travel is smooth and efficient on every trail. The Shimano AMi transforms your rides into true pleasure. (?) 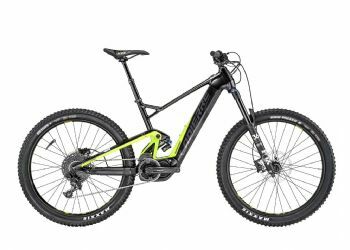 Compact & Sleek The Shimano Steps MTB system brings you intuitive, reliable and fluid rider assistance. Harmonising all the Shimano components: Steps E8000 motor, E8000 34T crank set and 170 mm crank arms brings the bike dynamic and reactive performance. Integrating the Snake Power battery behind a cover helps to retain the rigidity of the Supreme 5 aluminium frame, ensuring a compact design for the lower tube. Love our new bikes bought a couple of weeks ago. Jem has a Gazelle Orange CX and I have a Batribike Omega. Steve was very helpful and patient, and did not rush us, while we tried to take in all the details about the bikes. He is very knowledgeable, an experienced cyclist himself, and gives a first class service. Would highly recommend him at Ebikes in Birdham. Thanks for everything, Steve. See you soon.